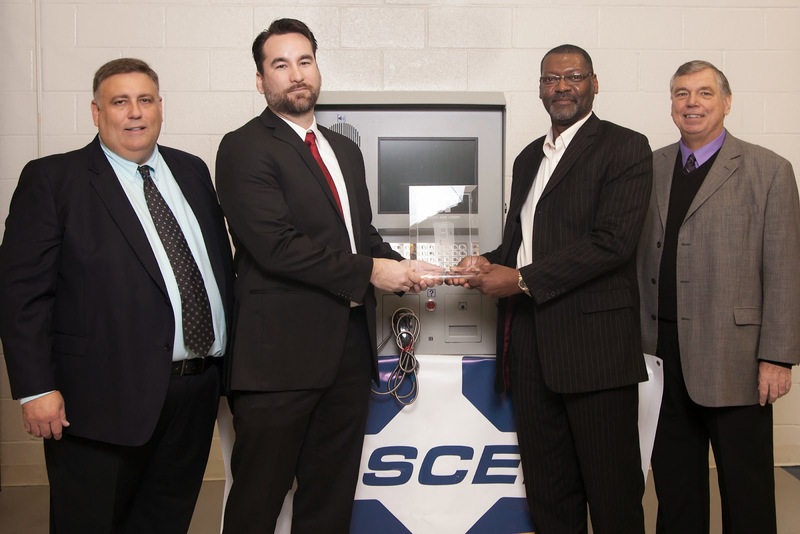 During a ceremony at NASCENT's Charlotte Headquarters on Friday, December 5, 2014, Fabio Teti, NASCENT President and CEO presented the kiosk to Norfolk Southern. “We’re honored today to be handing off our 1000th AGS kiosk to NS. NS presented us with our first railroad opportunity in 2002, and we’ve enjoyed a long and mutually rewarding relationship since then,” stated Teti. “Not only does this mark a tremendous milestone for our company, but having the kiosk so close to our corporate headquarters will act as a constant reminder of the advances we’ve been able to accomplish over the years. Intermodal transportation is a vital part of our country’s economy and a cornerstone of consumer goods traffic. I’m privileged to say that NASCENT has played a pivotal role in advancing the performance of Intermodal operations and that we’ll continue to work with forward-thinking companies like NS to effect continuous improvement throughout the industry,” added Teti. Commemorative plaques were presented to NS and Remprex. Remprex, LLC is one of NASCENT’s Value Added Resellers for the rail industry, and Remprex obtained and fulfilled the NS AGS order and is presiding over the AGS installation of the NS Charlotte facility. Shortly after presenting the commemorative plaques, during a very moving part of the ceremony, Fabio Teti explained the reasoning behind the 1000th AGS kiosk nickname, “Jimmy”. 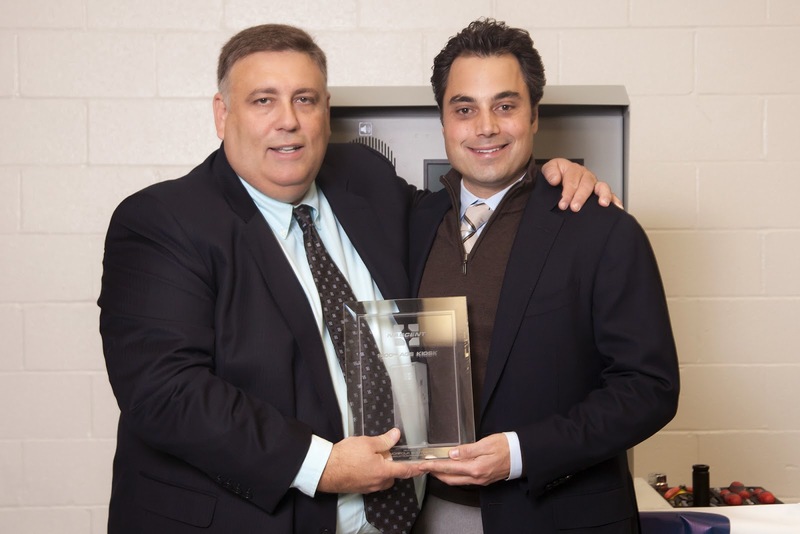 “We wanted to honor a person that was an industry pioneer, a colleague, and a friend.,” “We’ve named this important kiosk Jimmy in memory of James Z. Peepas; the man that introduced us to NS and the railroad part of the industry. He was relentless in his pursuit of a working NS-NASCENT relationship. Unfortunately, he passed away before he had a chance to see his vision become reality”, concluded Teti. A crystal commemorative plaque engraved with the words, “Dedicated in honor of James Z. Peepas, an Intermodal Industry Pioneer. His tireless dedication to improving the intermodal industry resulted in the introduction of NASCENT to the railroad sector” was presented to Mr. James Shondel, grandson of James Peepas and CEO of Remprex, who received it on behalf of his grandfather. Remprex, LLC. provides managed technology, terminal operations, engineering and security services for intermodal transportation facilities. This includes the development of new terminals, facility retrofits and project management for railways throughout North America. For more information on Remprex visit www.remprex.com.